There’s something about a V-12 motor that makes our heart scream in adrenaline-fueled ecstasy. Bigger is better, right? 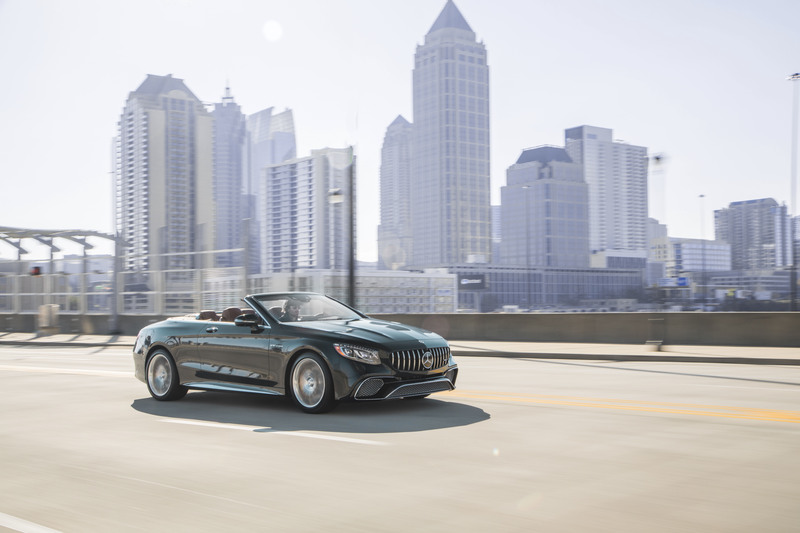 Twelve is better than eight, and those dozen cylinders are just part of why we love the the Mercedes-Benz AMG S 65 Cabriolet. Its beastly biturbo V-12 cranks out a staggering 621hp and 738 lb-ft of torque. The motor gives you so much power you’ll be grunting in rhapsodic pleasure, Tim Allen-style, every time you stomp the accelerator. A drop-top grand touring car, the S 65 is not only fast but it’s also as majestically comfortable as you would expect. Standard equipment includes headlights constructed from Swarovski crystals, heated-ventilated front seats, an “Airscarf” neck-level heating system (to keep you warm when the roof is down), soft-closing doors, as well as an air purification and fragrance system. Ah! A new car smell that never ends. A single switch lets you take the top down in less than 20 seconds at speeds up to 31mph. 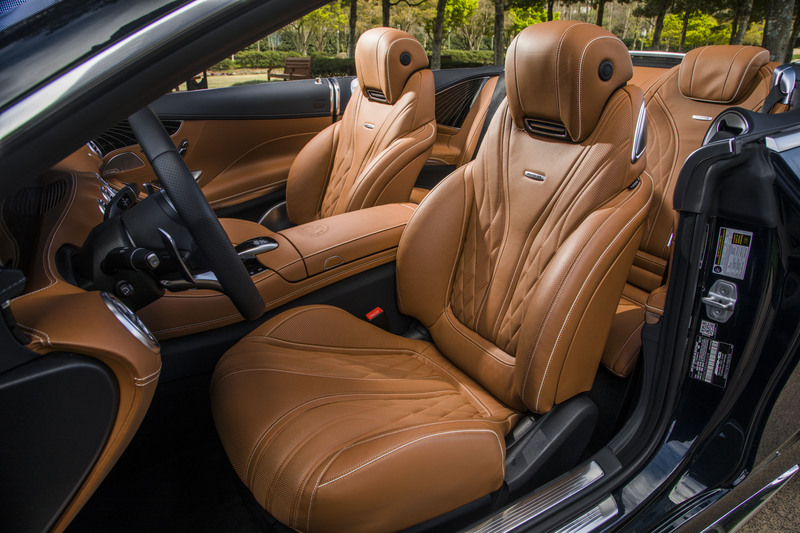 As it’s an S class, Mercedes opted to include its active multi-contour, massaging front seats rather than the firmer variety traditionally found in most AMG sports cars. Framed in Napa leather and wood, the seamless fusion of a digital instrument cluster and a multimedia display into a massive 2-foot piece of glass serve as the centerpiece of a modern and tastefully opulent cockpit. We recently spent a long weekend and about two tanks of gas chewing up Georgia asphalt from Atlanta to Augusta and winding through the back roads of South Carolina. The power: simply staggering. Not only in its volume, but also how seamlessly the transmission turns it into speed, speed, and more speed. Push it a little or all in and the car responds with no complaints, just a long sustained grunt from the V-12. Steering feels effortless for such a beefy machine: It weighs in just shy of 5,000 pounds at 198 inches long—two more than an E Class station wagon and 10 more than the iconic G-Wagen SUV. While the S 65 is more than a half a second slower to 60 than its eight-cylinder sister, the S 63, step on the throttle while moving at a highway clip and the V-12 projects you into other-worldly acceleration. Not for dragging the track, it’s a beast born and bred for blitzing the autobahn while sitting in the lap of luxury. Some AMG purists might complain that you lose a little of your connection to the road with the more plush seats, which can be true. But the S 65 is an S class, and luxury is paramount. As a touring car built for longer hauls, the more supple seating helps you gobble up road and ask for more. For more boring drives down the interstate, the S 65 is available with Mercedes-Benz’s full suite of driving assistance features, which are among the best we have used. In the 2018 version, when engaged, the semi-autonomous features even allow you to take your hands off the wheel for short periods of time. Because it’s a convertible, expect a minimal amount of cargo space. Half of what would be the trunk is taken up by the roof retractor. The space is not totally useless. You can get a couple of overnight bags or a single set of golf clubs in the back—if you put your driver and three wood in the backseat. If you like to pack heavy for a road trip, maybe opt for the coupe. The sticker might make you grunt a little as well. At a base price of $250,900, it’s a true investment. The S 65 is a whopping $70,000 more than the V-8 S 63. But for the well-heeled, the V-12 fury and a bit of exclusivity could be worth a few extra very pretty pennies. Nearly everything comes standard on the S 65. Not included are carbon fiber brakes, and we think you’re going to want them. (It’s an $8,000 option.) But with this base price, if you get this car, go for it. In for a penny, in for a pound.